So finally, the official Twitter app has landed on the iPhone, following earlier release for the BlackBerry and Android devices. 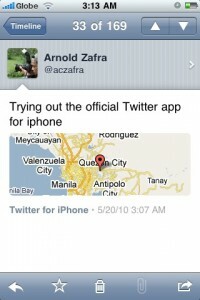 In case you forgot, Twitter app for iPhone is actually a “refurbished” version of the previously available Tweetie app. I didn’t get to use Tweetie before so I couldn’t really say whether this official Twitter version is better than Tweetie. But what I can say is that Twiiter app for iPhone has loads of goodies and you won’t have a hard time liking and using it from this day on. 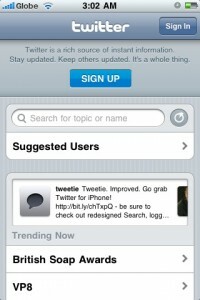 So, what’s new and what’s hot with the official Twitter app for iPhone? 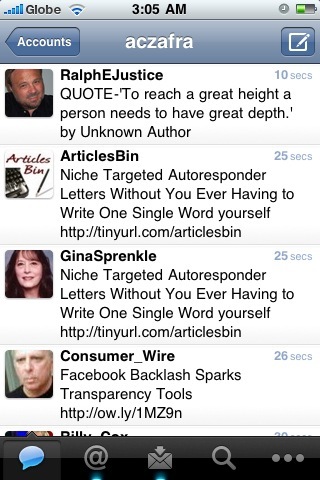 To be honest it’s probably the same as other previously released third-party Twitter apps. You get to post tweets, read timeline, retweets, see your lists, attach photos from your camera, send DMs, search Twitter and a plethora of other usual Twitter features and functionality. 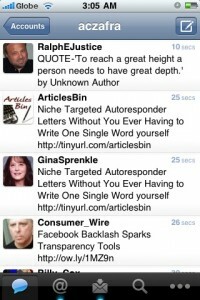 One feature of the app worth noting is support for multiple Twitter accounts. And the interface for switching from one account to another is quite intuitive. Given then small screen real estate of the iPhone, I’m not expecting the app to support multi-columns. Although TweetDeck has done an easier interface for scrolling through your multiple accounts and it was quite good. I’m actually looking forward to the iPad version of this apps and hoping that the two column format will be carried out quite well. Another notable feature of Twitter app for iPhone is that you can now search and browser Twitter.com even if you haven’t signed up for a Twitter account yet. Wait how could you not, still? 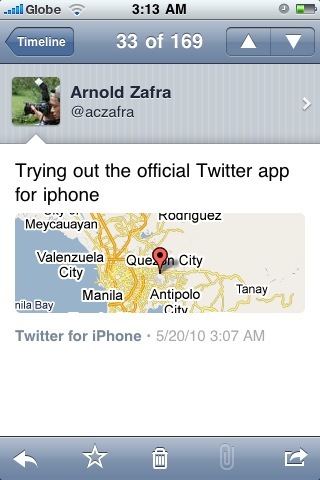 Overall, the official Twitter app for iPhone is a very good app. It might not be the best among the currently available Twitter apps for iPhone but it is certainly among those above average. So, have you downloaded Twitter for iPhone? How do you find it so far? Share with us you experience using Twitter app for iPhone by leaving a comment below.